The Jerusalem Botanical Gardens are a hidden gem. Unless you happen to be looking for them, you'd never notice the metal entrance gate on the corner next to the pharmacy in the Nayot neighborhood. 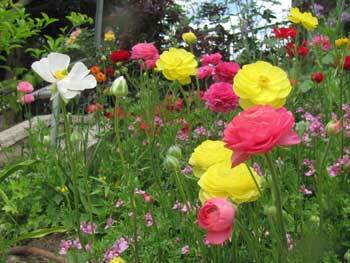 But it is well worth a visit, especially in the spring, when most of the flowers are in full bloom. Here, you can wander at your own pace through shady pathways, sit in quiet contemplation by little waterfalls, lunch by the lake, or tour the circumference of the botanic gardens on the little train. The train is reserved for groups first, but if there's room available, they’ll let you on. The gardens were first set up on Mount Scopus, the original Hebrew University Jerusalem campus. When that campus was no longer accessible after 1948 – being completely surrounded by Jordanian troops – new gardens were set up on the new campus in Givat Ram in 1962. They were moved again to a more spacious area in 1985 and, in 1994, split from Hebrew University. It is now run by the Jerusalem Botanical Gardens Association. There are over 10,000 different species of plants from around the world represented here, including, rather surprisingly, the world’s largest collection of bonsai trees. There are 150 of them – a veritable bonsai forest. The flora is arranged geographically, with sections devoted to Australian, Central Asian, Mediterranean, African and European plants. 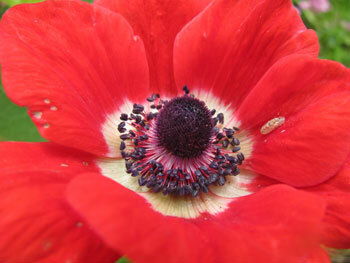 You’ll also find an herb garden, a tropical house and a nursery. The butterfly house is open in the summers and hosts activities and workshops for kids. The Jerusalem Botanical Gardens are wheelchair accessible and the train has a wheelchair lift and can accommodate one wheelchair. Guided tours in Hebrew are included in the admission price. They are held on Tuesdays at 16:00 and Fridays at 10:00 in March-May and on Sundays and Tuesdays at 17:00 from June to September. To organize a group tour in English or another language, call 02-679-4012. 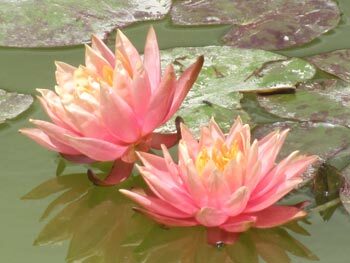 Hours: Sun to Thurs 9:00 to 18:00 (Tropical Conservatory open only 10:00 to 15:00); Fri 9:00 a.m. to 2 hours before sunset. Saturday 9:00 to 18:00. Note that on Shabbos (Saturday) and Jewish holidays, the garden is open only to members and holders of pre-purchased tickets. 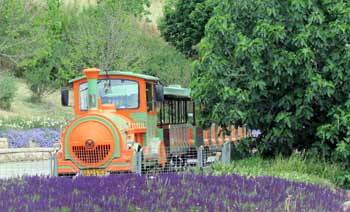 The train runs Mon to Thurs 10:00 to 14:00, departing on the hour from the lake. Admission: Adults 28 shekels; children, soldiers, seniors, disabled persons 18 shekels. 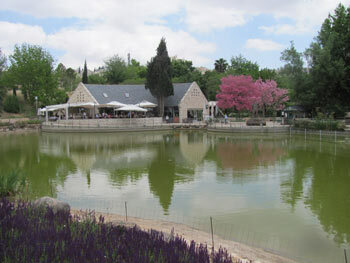 Return from Jerusalem Botanical Gardens to Modern Jerusalem Tours. Return to Flowers of Israel. Return to Kids' Activities in Jerusalem.